To see our full investigation into the events of Dec. 3, see here. 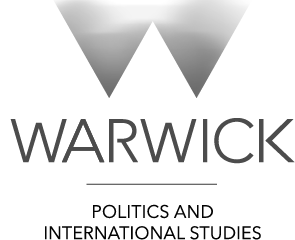 To read a piece contextualising the events in Warwick’s history, see here. To listen to our radio show dissecting the events, see week six here. It’s difficult to know where to start. A lot has changed since that fateful day last year – the political climate on campus, our relationship to our University, the entire course of my life. In that jarring period of less than 10 minutes, our worlds and futures were quaked utterly and completely. More than anything, all the antagonisms that we felt structured the functioning of the University were exposed and crystallised, made stark in pain, clarified in suffering, demystified somewhere beyond the smog of CS gas, kindled in the crackling of tasers, reverberated in the screeching of screams, and echoed in glacial cells and court rooms. We recognised this violence not as an anomaly, but the subduing of resistance to the seizure of our education by market forces. Throughout history this market expansion has occurred through force, deployed by the state in the interests of private property – from the vagabondage laws and threat of execution, torture, imprisonment or deportation instituted with the Enclosures Act centuries ago, to the extreme repression of rebellion in the Global South to the International Monetary Fund’s ruthless privatisation schemes. 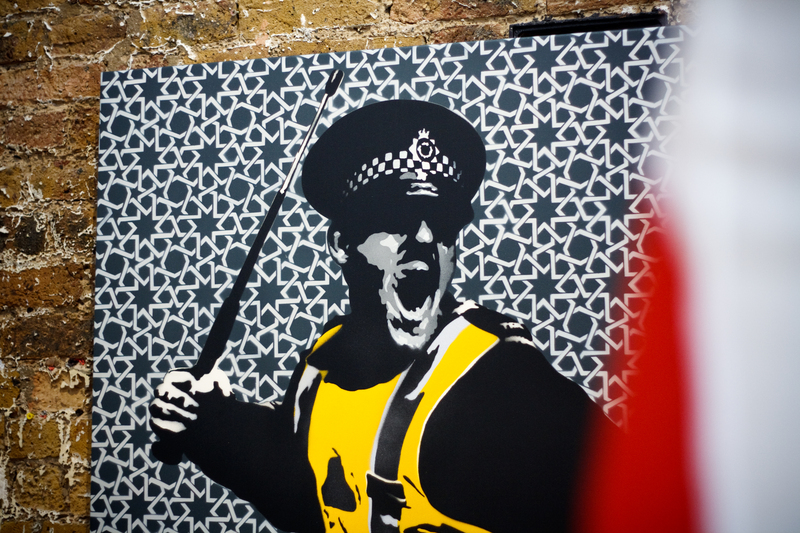 Injunctions, police repression, court trials, and other disciplinary measures, we knew, were commonplace consequences of dissent against the neo-liberal university – the #CopsOffCampus campaign did not begin with us, and it will not end with us. But the contours are rendered with all the more lucidity contained in a police cell, lips stinging from the after effects of the CS gas, the raw marks of handcuffs searing your wrists. There is, of course, something enraging about pain. But, drawn out, elongated, dispersed for long enough, it begins to numb, and debilitate, and eclipse. The sensory tumult of friends weeping, screaming, crying out, struck, wrenched to the floor, punched, still provokes tears, but not quite of the same texture: of indignation, still, yes, but not of rage – simply of despair, of desolation, of powerlessness. The effects of state repression are never just bound in one moment, but in their continued conquest over your being, in their deterioration of your will to fight back. It is their intimidation and incarceration of your spirit every day, even when you have exited the cell, overcast in months of anxiety-ridden police bail, in arduous court trials, in the self-policing we enact upon ourselves, our joys and actions, in the cops that claim quarter in our nightmares and in our thoughts, in your campus security plaguing you like spectres on a battlefield you were supposed to call home, in scarcely being able to hear the voices of lecturers rise above the din of the screams in youtube videos you’re forced to watch and re-watch, and powerpoints that fade and blend into slideshows of anguish, into fragmented and blurred pixels, electrified and scattered in crescendos of sparks and cries, punctuated by sirens and piercing blue lights. You can’t help feeling like you’ve lost something: innocence, maybe, faith in the goodness of the world and in your capability to change it. One year on, I feel like I still haven’t really processed what happened. I feel like those pieces are still scattered. I feel like I’ve still not quite recovered. I still feel fractured, though the cracks have shifted, assumed new forms and dimensions. I guess this is how the state wants me to feel – fearful, anxious – and it is that fear which scares me most of all: that they didn’t just repress us physically that day, but that they continue to win, shielded from culpability by a vastly biased judicial and independent complaints apparatus, bearing an institutional power that is so routinely exercised with impunity, and is deployed systematically to repress black and marginalized communities. In their acerbic tones asking you to be an informant, in their documenting and profiling of personal details to harass you on other local protests, in an injunction which is, unprecedentedly, indefinite and campus-wide: your life, being and capacity to protest is beset and confined by their monolithic apparatus of surveillance and repressive force. A kind of psychology is produced wherein you are never innocent, just not yet guilty, particularly if you speak out: where your privacy, freedoms and safety are invasively encroached upon for your own safety. They manipulate you to internalize that suffering, to claim guilt and culpability over it, to besiege your resolve with doubt, to reflect on yourself as an enemy, and finally to reintegrate you as a productive and compliant citizen, a disciplined subject of a social order arranged around dispossession and violence. Their force is psychic as much as it is physical. And it wasn’t just the state that enacted this through bail and court trials, but our own University administration. They forced through the injunction rather than negotiating with the occupiers; rejected any misconduct on the part of a violent police and security response; refused to apologise even after a summit on peaceful protest organized by the Centre for Human Rights in Practice overwhelmingly affirmed the inability of police and management to defend their flagrant actions; the ludicrous witness statements of Warwick security about Warwick For Free Education being a ‘violent mob intent on fighting the police’ as the University fought to prosecute one of its own students; the manipulative statements from Nigel Threat appealing to nebulous notions of ‘community’ and a ‘spirit of cooperation’ with regard to the management of protest on campus, obscuring its injustices, and vilifying us as ‘yobs’ and a violent unrepresentative minority; security, to this day, accosting, harassing and intimidating us when we engage in something as moderate as chalking. We should not dissociate the University from the act of state violence perpetrated upon the protestors within Senate House on Dec. 3: it is actively complicit in that violence and has been throughout the totality of its processes, waging a propaganda war and employing every measure and tool of repression imaginable. It was evident that, in the aftermath and following months after Dec. 3, the University was much more concerned with mitigating damage to its reputation than it was with addressing damage to the wellbeing of its students. 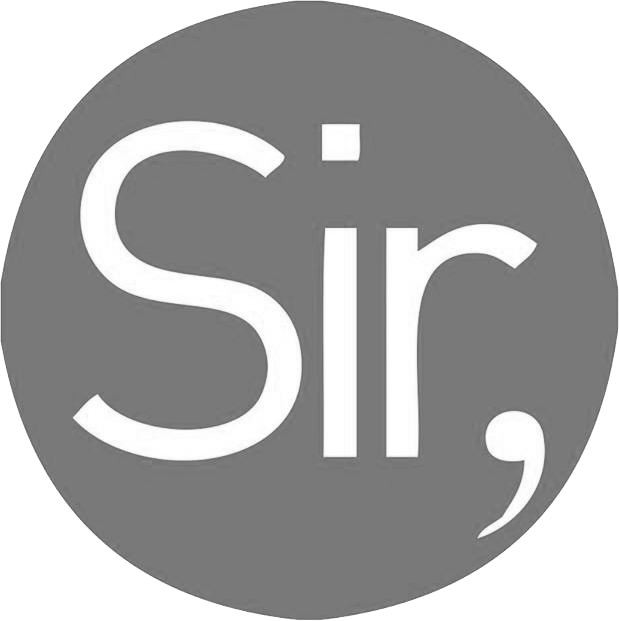 In a climate of marketisation, the prestige and image of the University is everything, it is indispensable; and the welfare of students is relegated to a statistical variable in satisfaction surveys: in other words, it is disposable, attended to superficially, performed rather than acting as a guiding principle. We are disposable, and – when we dissent – enemies, villains, to whom the nebulous ‘duty of care’ of the University no longer extends. This ‘duty of care’ is simply the securing and legitimisation of our compliance. And, so, a year on, there is no closure, no apology, and – perhaps above all – no genuine convalescence. This violence is so embedded in all the operations and relations that constitute the University and society at large that it is hardly escapable: crystallised in injunctions and state-enforced hostility to a free education campaigning group, even less so. Yet, despite vilification, intimidation, brutality, we persist in our fight, stronger and more resolute than ever before. Dec. 3 will not be the day in which we simply lament the violence of the University and the state, nor capitulate to the narratives they have woven to delegitimize and contain us. This is an anniversary of pain, yes – but it is also the anniversary of the story we have composed. It is a story of one of the largest protests in Warwick’s history on Dec. 4, a story of a militant resurgence of activism on Warwick campus, a story of fossil fuel divestment and the defeat of Teach Higher, a story of the Warwick contingent leading the National Demonstration for Free Education and Living Grants for All just weeks ago. It is a story of friendship and connection and community tempered through tears and bruises and hardship. We have found clarity, and resilience, and bravery, and compassion in one another, when the University and state afforded us none. This is a story not merely of pain, but a memory too, of hope, a marking of our strength and our collective will to struggle and overcome adversity. This is a story of loss, of despair, of violence – but it is also one of care, and resistance, and loyalty, prevailing to this moment, and in every moment preceding it. This is our day – not theirs. It is for the storming of the Rootes building, it is for every tear cried in court and in police stations, it is for every message and action of solidarity, it is for our reclaiming of Senate House after the peaceful protest summit, it is for the affection and comradeship that sustained me through everything, it is for that ferocious impulse to abandon no friend to the grasp of police, and it is for our flare of rebellion within an ever-burning legacy at Warwick and beyond. One year on, we’re still fighting. Maybe that’s our closure, and maybe that’s enough. 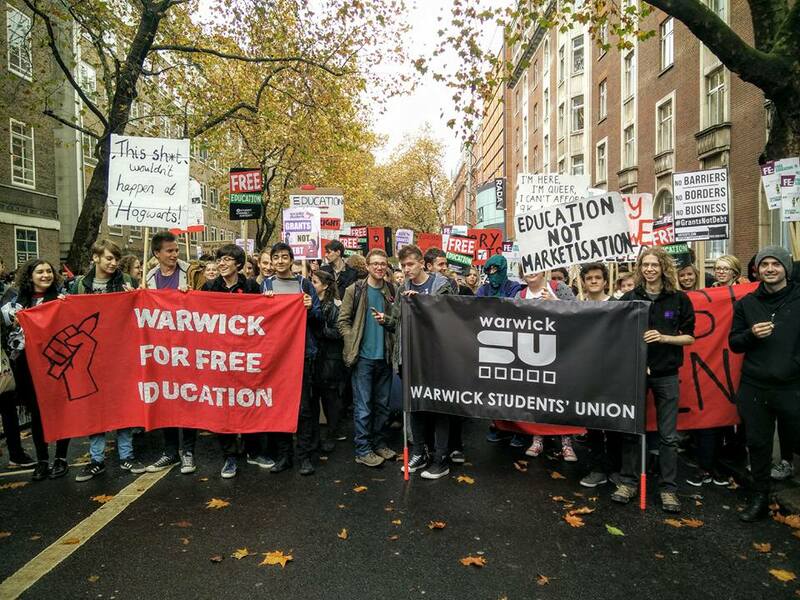 Luke Dukinfield is a Chemistry undergraduate, member of Warwick For Free Education (WFFE), and was taken to court for the role they played in the events of Dec. 3.